CBI Conference 2016 - Better Together? There is a lot to get excited about in the childrens' books world at this time of year. 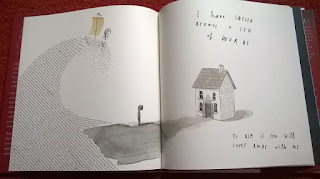 The amount of new books coming out is overwhelming (almost) and the up-run to a season which I will not mention places depends on a booksellers time, energy and frankly, space. 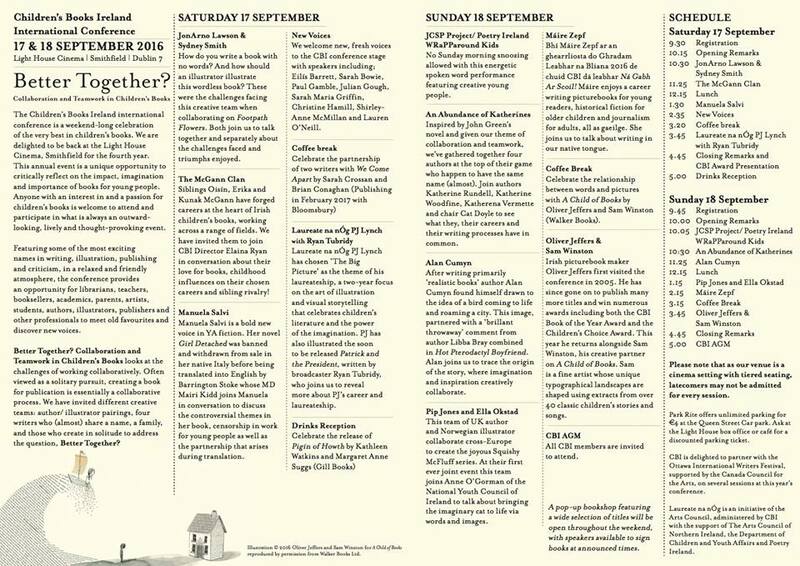 But nothing brings more excitement than the annual Childrens Books Ireland conference. 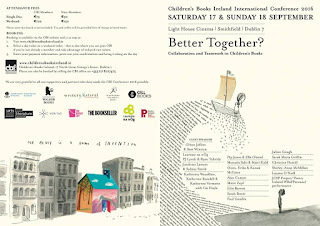 Every year, CBI brings us the best and the brightest in childrens' books, authors, illustrators and publishers from across the globe in one weekend that is simply fabulous. It is an event that is designed to give us that extra boost of enthusiasm. How CBI manages to bring us a conference that gets better every year is a mystery. This year, the theme of the conference is Better Together? and is focusing on teamwork and collaboration in childrens' publication. While writing is often seen as a solitary profession (more of a calling, really), it takes an enormous amount of collaboration to get that book to press. So...are we better together? While the process may certainly have its' pitfalls and dramas, the end results shout out a definitive yes. 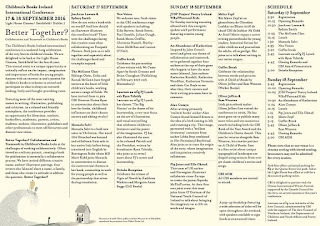 This year, we will be hearing from PJ Lynch, our new laureate in conversation with Ryan Tubridy, an abundance of Katherines (Katherine Rundell, Katherine Woodfine and Katherena Vermette) in conversation with Cat Doyle, Oliver Jeffers and Sam Winston JonArno Lawson and Sydney Smith....well, the programme is below so you can have a look yourself. AMAZING! Childrens' author, illustrator and educator Anna Dewdney has passed away at the age of 50, following a 15 month battle with brain cancer. She died at her home on Saturday, 3rd September. After working as a waitress, day care provider, mail carrier and teaching history and art in a boys boarding school, Dewdney realised her dream of becoming a full-time author. She illustrator quite a number of 'chapter' books in the 1990s, beginning with The Peppermint Race by Dian Curtis Regan in 1994. 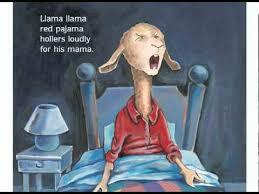 Finally, in 2005, Viking published the first book she both wrote and illustrated; Llama, Llama Red Pajama. The tale of a young llama and his struggles to get to sleep won the hearts of children, parents, teachers and librarians everywhere. The story continued in a series spanning 10 books and Netflix is producing a Llama Llama series to be released in 2017. 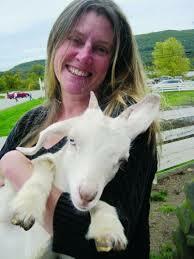 Anna Dewdneys' vision and compassion were a real gift to the world. In her passing, we have lost something rare and beautiful. But these gifts live on in her work. Instead of a funeral, her final request is that we read to a child. Are You A Child Of Books? I am so ridiculously excited about this new book! A Child of Books by Oliver Jeffers and Sam Winston is out now and it is wonderful. 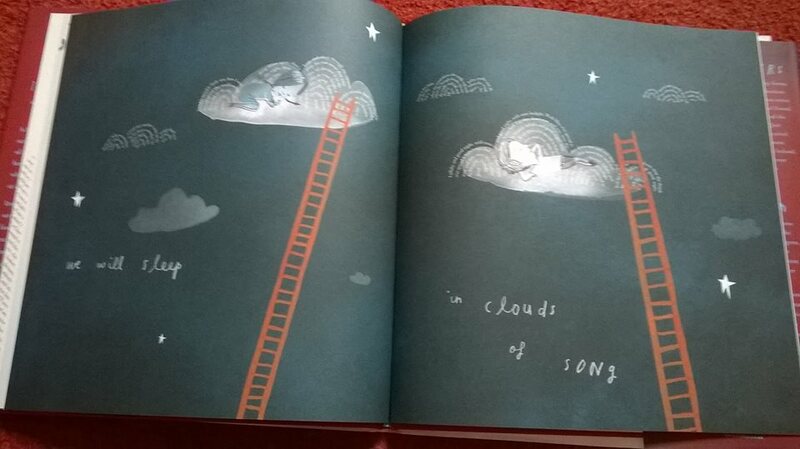 An homage to childrens' books and reading, fostering a love of books in all of us, this book is simply beautiful and is a MUST for every home, school and library everywhere. 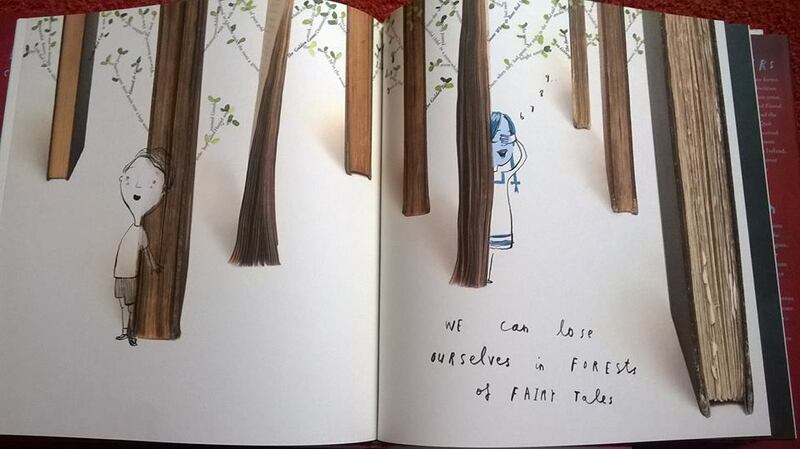 First, we see a simple story of a young girl and her love of stories and the journey on which each one will take her. Her love of sharing this experience is pivotal to the tale. But every page gives us something so much more. The illustration is carried out through the clever and meticulous use of collage and typesetting, giving us a book to be entered and pondered for hours as we begin to read the illustrations. 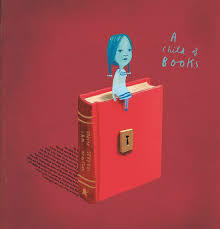 Passages from forty childhood classics, Treasure Island, Alice in Wonderland, Peter Rabbit, The Secret Garden, even nursery rhymes to name but a few, create a typographical landscape that engaging characters travel through to give us a full and wondrous notion of books and reading. It is an absolute inspiration for children and their grown-ups. We begin to think about our own stories, the ones we have read and the ones that have helped us indulge in our own path. 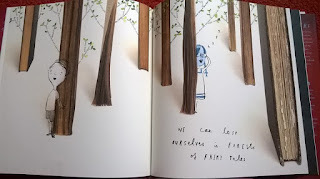 Hours upon hours can be spent with A Child of Books...and never forgotten. When I think of my own story and the books that made me a child of books, that first gave me that fascination and push to read more and more and to think about what I was reading, I have a few real standouts. 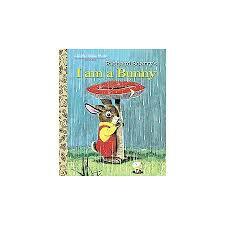 I Am A Bunny by Olé Risom (illustrated by a young Richard Scarry) was the first book I ever bought for myself. I was 4. I was completely enchanted by the journey through the seasons and the joy Nicholas felt at each day. 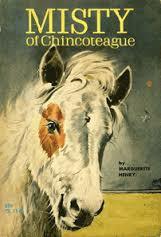 Misty of Chincoteague by Marguerite L'Engle was my first 'chapter book'. (I have to say here...it may help you understand the impact of story-telling a bit...I was not then, nor am I now a 'horse' person.) it was the characters, their adventure, their determination. I think I read it 12 times or so. And The Secret Garden by Frances Hodgeson Burnett.... still entrances me. Thanks to these (and others, of course) and now to this new, beautiful offering; I am A Child of Books. 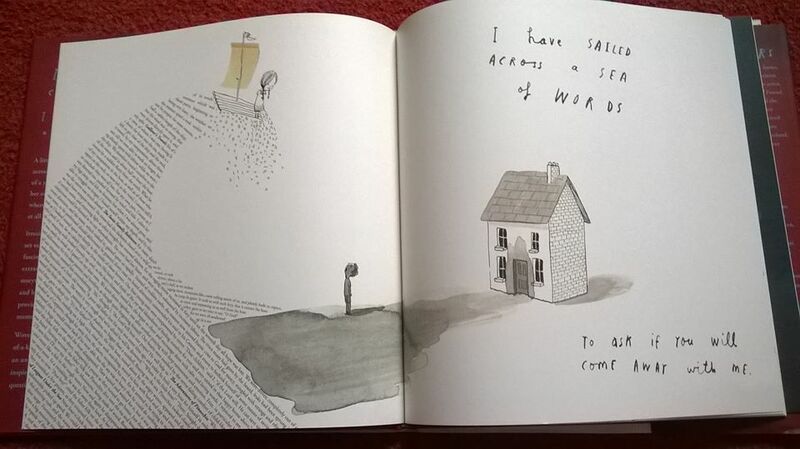 But tell me, please, what books made you A Child of Books?